Simple pull a piece of tape from the dispenser and stick it to the back the item you want to ‘magnetise’. 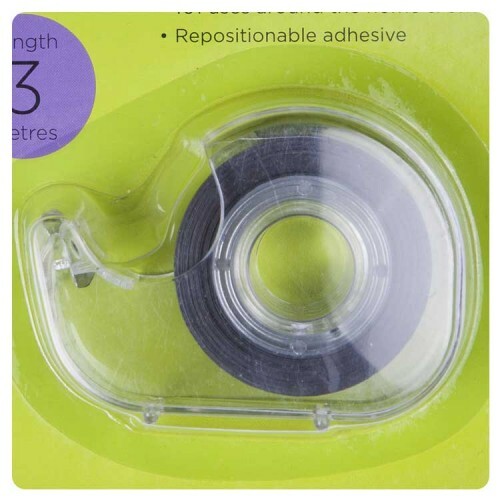 The adhesive is re-useable so you can strip it back off and use it again. 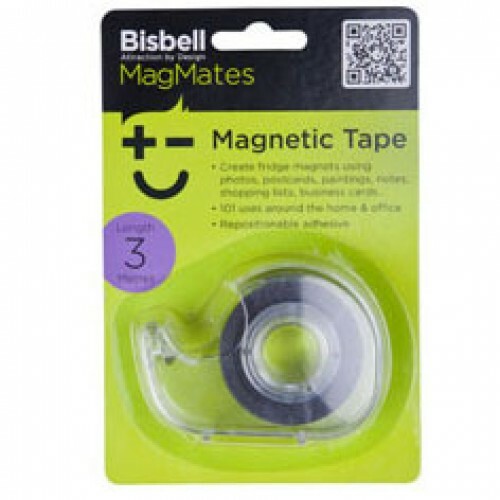 And the magnet can be stuck face to face - which means that you can stick a piece on the object you want to make into a fridge magnet - then put another length the same on a wall and place the product onto the magnetsic strip! So you can use it pretty much any where! The magnetic tape dispenser contains 3 metres x 19mm wide magnetic tape with re-positionable adhesive on the back of the magnet.